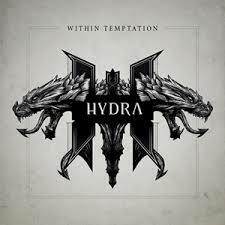 I like when masters of the metal world collaborate to make music. A couple decades ago the word duet would have been more appropriate, but every time I hear the word “duet” all I can think of is Dolly Parton and Kenny Rogers. So, let’s call these a collaborative effort between metal musicians. Sometimes it can be an epic fail, but more often than not they usually create a great new song or even breathe new life to an older song. This week I am looking at collaborations I thought were done quite well. I know there are much more collaborative recordings out there, but that’s what blogs are about…sharing information. If there is something not on this list you think should be then please, by all means share and share alike. Here are a few I thought up held up well over the years. I want to take this moment to dedicate this theme of the week to my wife who is turns 21 today…for the second time. Happy Birthday babe! This is a repost of an article I wrote a while back about an experiment to find metal my wife would enjoy. It’s not to turn her into a metalhead like me, but an experiment to find some common ground. I like some of her nonmetal music so this was a way for me to find metal that wouldn’t make her feel like she was a lamb in a slaughterhouse. If you are like me then you married someone who doesn’t listen to metal. It was never a prerequisite for me to marry someone who listened to metal like I do. To make a long story short, I married a Sting, Billy Joel, Cheryl Crow, Michael Buble fan. Although I respect these artists, they were not part of my music library. Early on I knew my wife didn’t like metal and it didn’t matter. There is more to a relationship than musical interests and I could tell that my wife, like me, respected talented musicians. When I told her I liked metal she didn’t make a face or ask “are you satanic?” She might have thought it, but didn’t ask it. I knew she was (and is) open-minded and that was good enough for me. I tried to introduce her to some metal I thought she might at least like…some artists I thought were more commercially accessible. I started with Dream Theater. Surprisingly that didn’t work out too well. Although she accompanied me to a 3-hour Dream Theater concert in San Francisco, it was not her cup of tea. Her comment was “really talented dudes, but the songs were too long.” So prog was not her thing. I even tried some Megadeth songs…nope. I took her to see Judas Priest. She actually seemed interested in that show because growing up in the 80’s…who didn’t know Judas Priest? Anthrax opened and that was a definite bust, but she knew some Judas Priest and thought they put on a good show. I think she enjoyed watching the 40+ year olds in he crowd with mullets and balding heads more than the band. But it was a nice sharing a bit of my musical culture with her. Of course it works both ways. She took me to Matchbox Twenty, a ballet in the front row, and a musical featuring all Billy Joel music. I thought they were very well-done performances. So we shared our interests as couples should do. I still wanted to try to find one band; just one band made of metal that should would like. Not just put up with, but actually like. If you are like me then you married someone who doesn’t listen to metal. It was never a prerequisite for me to marry someone who listened to metal like I do. Strangely enough I dated someone in high school (many many moons ago) that listened to music I liked at the time…80’s rock/metal. One would think that metal + metal = happiness, but this was not my case. We actually fought about music. My metal was better than her metal and vice versa. It was strange and I chalked it up to being young, but I also told myself that musical taste was not a prerequisite to marriage except when it concerned country. To make a long story short I married a Sting, Billy Joel, Cheryl Crow, Michael Buble fan. It isn’t the type of music I bought albums for, but I do respect artists that have talent. So early on I knew my wife didn’t like metal and it didn’t matter. There is more to a relationship than musical interests and I could tell that my wife, like me, respected talented musicians. When I told her I liked metal she didn’t make a face or ask “are you satanic?” She might have thought it, but didn’t ask it. I knew she was (and is) open-minded and that was good enough for me. Besides, when we are together I let her listen to whatever she wants. So I tried to introduce her to some things I thought she might at least like…some things I thought were more commercially accessible. I started with Dream Theater. Surprisingly that didn’t work out too well. Although she accompanied me to a 3-hour Dream Theater concert in San Francisco, it was not her cup of tea. Her comment was “really talented dudes, but the songs were too long.” So prog was not her thing. I even tried some Megadeth songs…nope. I took her to see Judas Priest. She actually seemed interested in that show because growing up in the 80’s…who didn’t know Judas Priest? Well, Anthrax opened and that was a definite bust, but she knew some Judas Priest and thought they put on a good show. I think she enjoyed watching the 40+ year olds in he crowd with mullets and balding heads more than the band. But it was a nice sharing a bit of my musical culture with her. Of course it works both ways. She took me to Matchbox Twenty, a ballet in the front row, and a musical featuring all Billy Joel music. I thought they were very well-done performances. So we shared our interests as couples should do. I still wanted to try to find one band; just one band made of metal that should would like. Not just put up with, but like. This theme Thursday is going to be a little shorter than normal due to my work requirements. I have a lot of homework and little time to do it. I am going to revolve this week’s theme around music to listen to while exercising, specifically while doing cardiovascular exercises such as running, biking, or elliptical. Running is something that I have to do as part of my job, but in order for me to have an effective run I have to do it to good tunes or it’s just not getting done. it may seem silly and a bit of metal thing, but it’s just the way I am with exercise and music…it’s a package deal. I have actually walked up to a treadmill before and realized my batteries were dead so I left and went home. Listening to music while keeping fit is a must for me. Tonight is a good example of what I mean. I had to run, I didn’t want to because it was the end of a long day and around 8pm, but the music motivated me. I limited my run to about 30 minutes and toward the end when I felt like stopping, another song came on to motivate me. So if you exercise because you like to or you have to, then this playlist I am about to talk about might help you out…until it gets old and needs updating. Here is what I listened to this week in order. It’s short and sweet this week. If you like to workout or have to, what music do you like to keep you going? Have a great week!